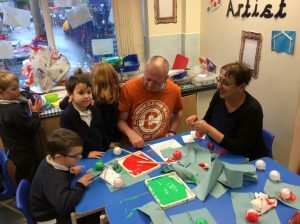 Happy New Year to all are parents, carers and children! 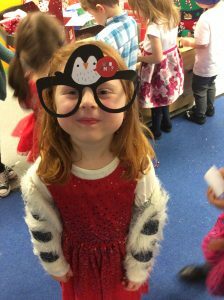 We look forward to a happy, healthy and successful 2019! 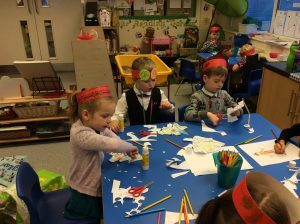 We have worked and played hard in the run up to Christmas. 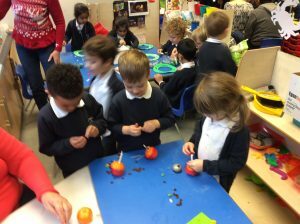 We have learnt all about the nativity story and how, at Christmas, we celebrate the birth of Jesus. 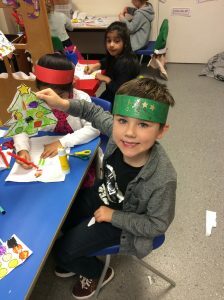 Alongside Mrs Brierley’s and Mrs Mellor’s classes, we put on a fantastic performance of ‘The Nativity’. 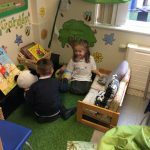 We saw our home corner area transformed into Santa’s grotto which inspired lots of writing and role play. 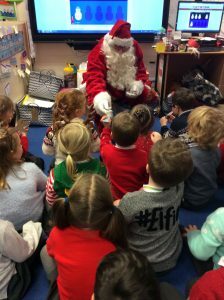 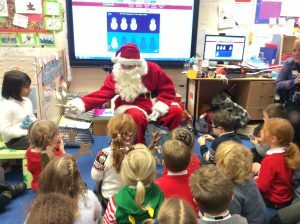 We also had a special visit from Father Christmas himself! 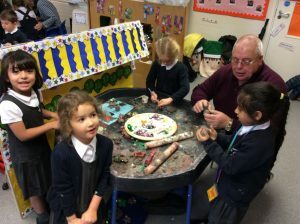 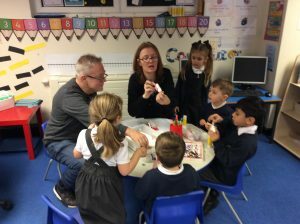 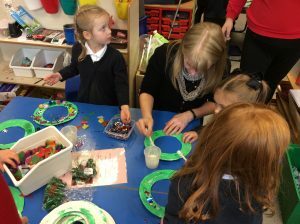 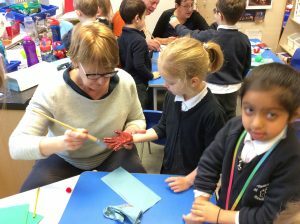 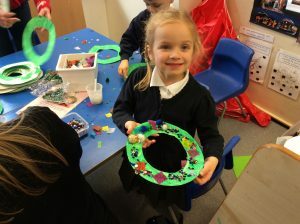 We had a fantastic day welcoming some of our Grandparents into our classroom to help us make Christmas decorations. 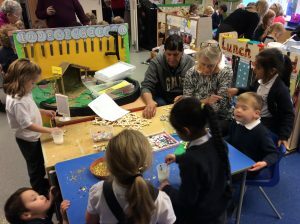 The day was a great success and we are very thankful to all the Grandparents who helped to make the day so special. 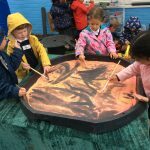 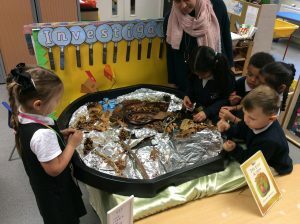 Last week, we learnt all about Autumn. 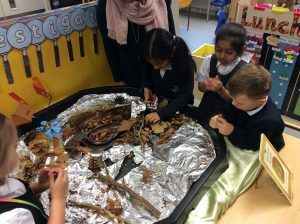 In our investigation area, we have been looking at a variety of objects relating to Autumn and discussing the colours we could see, the texture of the objects and how they relate to Autumn. 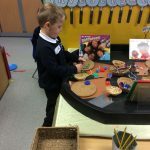 In the outdoor classroom, we made our own hedgehog models using clay and other resources. 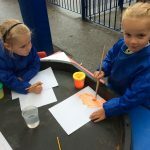 We also went outside on a learning walk. 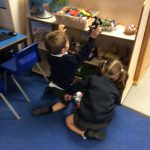 We collected autumnal objects, such as leaves that had fallen from the trees, and took photographs on the iPads to document what we found. 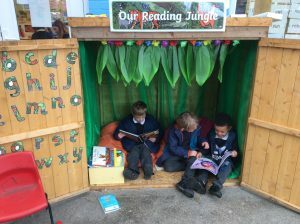 We have also enjoyed spending time in our outdoor reading den which has been made over into a jungle theme. 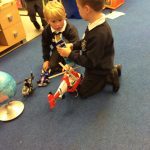 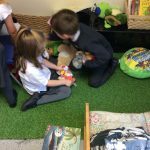 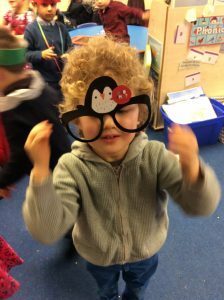 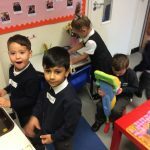 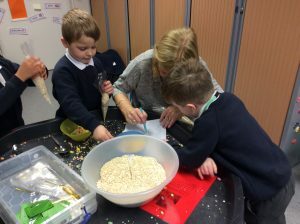 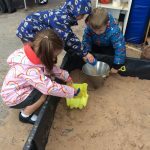 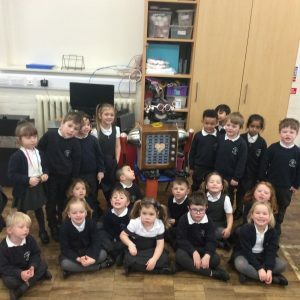 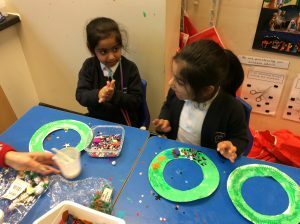 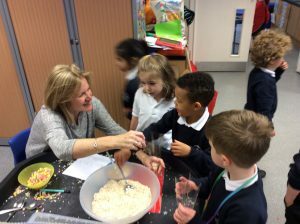 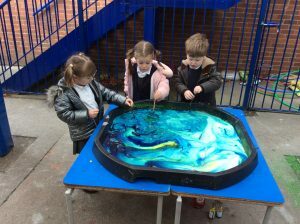 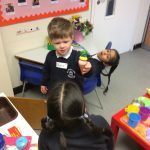 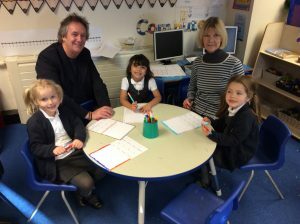 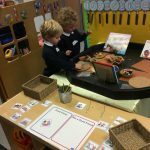 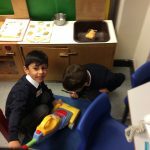 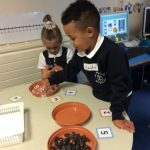 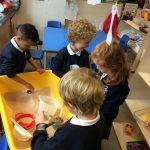 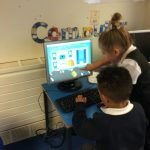 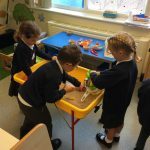 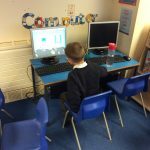 We have had a very exciting time visiting our classroom again. 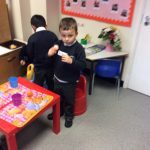 We all looked very smart in our school uniforms and we have already started to make lots of new friends.